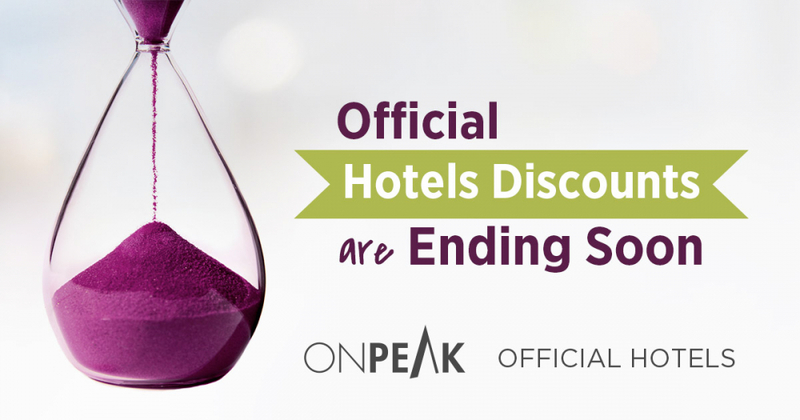 OnPeak has been selected as the Official ATC Hotel Reservation Company. Rooms are limited and available on a first come, first-serve basis. ATC cannot guarantee hotel at the discounted rates. Booking early is recommended. Block hotels have been researched by ATC to ensure they meet our standards. Assistance is available in advance and on-site for problems with ATC block hotels. It saves money. Rates and terms are guaranteed. OnPeak is the only official housing company associated with ATC 2019. While other hotel resellers may contact you offering housing for your trip, they are not endorsed by or affiliated with the show. Beware that entering into financial agreements with non-endorsed companies can have costly consequences. To secure these ATC negotiated rates, you must book housing through OnPeak. Rooms are limited and available on a first come, first-serve basis. Groups of 30 or more people are required to submit an official Group Hotel Reservation Form. In order for ATC to secure lower rates and an adequate number of rooms in any city, we must sign attrition clauses with the individual hotels. These are contractual agreements hotels require to protect against losses from no shows and cancellations after the cut-off date. In the past, attrition penalties have been incurred to ATC due to hotel rooms either being cancelled or simply unused. As a result, before receiving housing confirmations, ATC is requiring that all companies with a block of 30 or more rooms read and sign an attrition agreement protecting ATC against these preventable charges. Once your hotel requests and signed attrition agreement have been received by onPeak, you will be sent a confirmation letter from OnPeak. The ATC has designated Crystal Travel Management Company as their official travel agent for the Congress. To make a flight reservation, contact Sean Kelly at Crystal Travel Management Company at 1-888-327-2862 or via email at sean@crystaltravel.biz. To obtain the most competitive rates, please refer to the ATC meeting when making reservations. Fare restrictions and cancellation penalties may apply to your travel. Be sure to book your flight well in advance to receive the best rates and to have the agent advise you of any applicable restrictions.